You are heading to Jobe Research to meet with a Scientist called Drake Rodriguez. 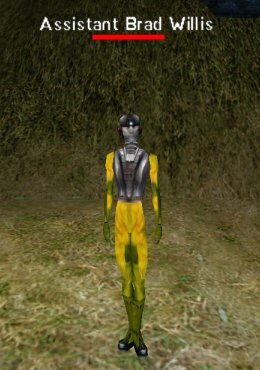 To find him, you will have either chosen to start your character in Jobe or you will need to travel from Rubi-Ka to get to him. At the top of the steps is a door, assuming you are level 50 or lower you can go through. By speaking to the NPCs, you will be directed towards a NPC named Scientist Drake Rodriguez. You can find him near the bridge after you enter the starter area zone. Drake is running tests for all Jobe recruits. These tests are "mandatory" to be a part of Jobe. You should have a bracer, if you don't have it ask him for one. Drake uses this bracer to monitor your progress. So you might as well equip it now. After a little chit chat back and forth you are given the choice of 5 tests. Test of Strength, Test of Agility and Stamina, Test of Sense, Test of Psychic, and Test of Intelligence. You have 30 minutes for the Test of Strength. The weaver and coiler are pretty easy ones. 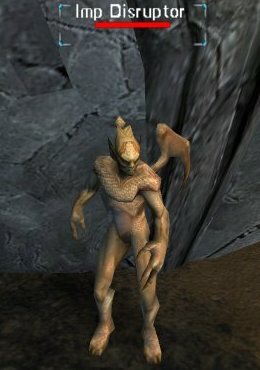 You can kill these guys at level one. They are located all over the place in the beginning area of the backyard/newbie area. 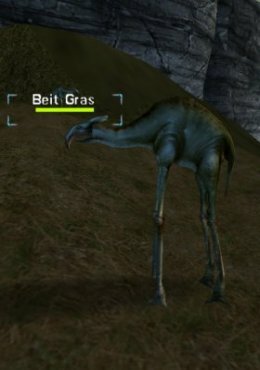 For the Beit Gras you will have to be around level 2 or 3 to be able to kill one successfully. The Beit Gras are located near the watering hole. Leave the first area of the backyard going right. and just keep going downhill and heading right until you see these guys near water. They don't help each other so just pick one and attack it. 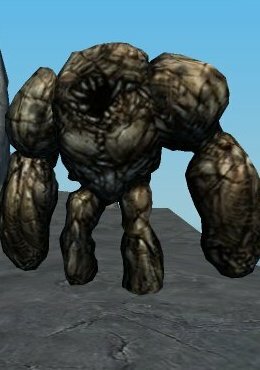 Return to Drake after you kill these guys and he will give you the Bracer of Strength (+2 strength and +5 HP). You will also receive xp and cash. 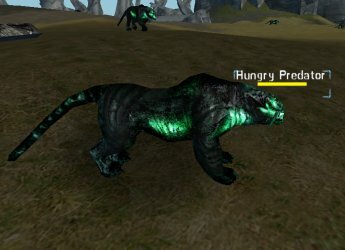 Drake wants you to put tracking devices on 3 creatures: Hungry Predator, Lurking Chimera and Pond Dryad. You only have 3 minutes for the Test Of Agility And Stamina. This one can be a bit annoying due to the time limitation. 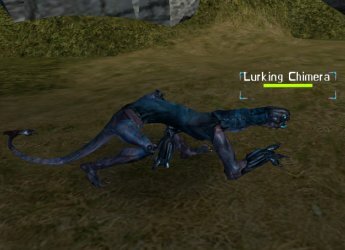 What you have to do is find each of these 3 creatures and right click the tracking device on them and then return to Drake. 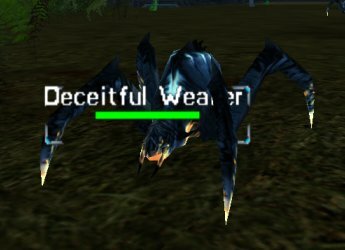 Luckily returning to Drake can be done outside of the 3 minute requirement if you right-click on the bracer he originally gave you which teleports you near him. Right when you get the quest, take off running down towards were you found the Beit Gras in the test of strength. The Pond Dryad's should be near the watering hole. Then run up the following the water and you should find the Hungry Predator and Lurking Chimera near each other on hills. When you return to Drake you receive xp, cash and a class dependent item reward for completing this quest. 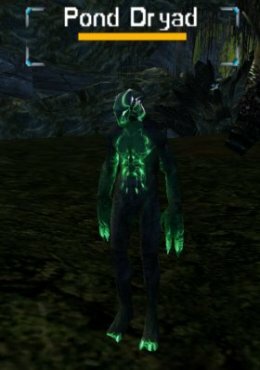 Drake wants you to find a Shadowleet for the Test of Sense. This is the easiest of the tests. 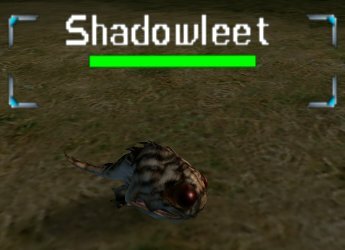 The Shadowleet looks like a small rodent. They are hidden, so you can't see them unless you use your search action on the action menu. 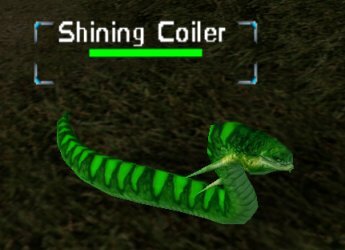 Walk out into the grass in the first area of the backyard and just click search, keep searching until you find one. 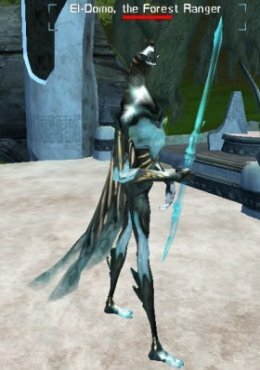 You should get a message about a shadowleet appearing. Then all you have to do is look around and target it to complete the quest. When you return to Drake you receive xp, cash and a nanocrystal map of the area of Nascence and Jobe for completing the quest. Drake wants you to investigate 2 groups with problems and decide which one to help. You have to travel to 2 guys (one Redeemed, the other Unredeemed) and hear their story and then go back to whoever you want to accept a quest from. The reward is different depending on your choice. Both are located in two encampments which are opposite to each other. 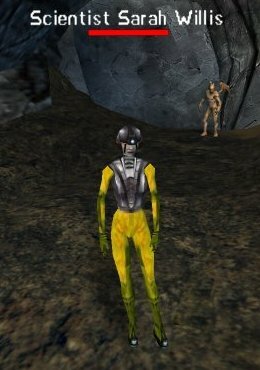 Let's start with the Unredeemed Celeth-El who is located inside a dark area which is surrounded by rock walls. Seems there has been a loud Silvertail Mare and Celeth-El wants you to snuff it. The mare can be found just outside the where Celeth-El is located. 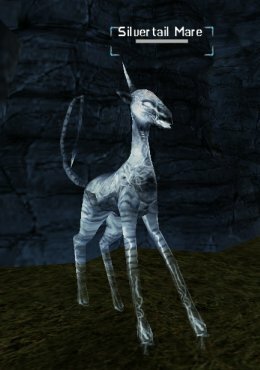 If you choose to help Celeth-El and kill this Silvertail Mare, he will modify your Bracer to be a Scourged Bracer of Jobe. When you head back to Drake Rodriguez, you will be given another Bracer of Jobe. But don't you want to know why the mare is upset? Sure you do. Head to the Redeemed El-Domo. Near the beginning area there is a tunnel against the wall between hills. It's rather difficult to find but you will know it when you see it. Head down it and to the small set of ruins to find him. He wants you to help bring a Young Silvertail that is lost to it's mother. Well we know why that mare was so upset now. El-Domo hands you a rag with silvertail scent on it. By giving it to the Young Silvertail you will complete the quest for El-Domo. 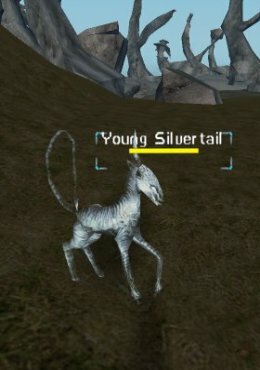 The Young Silvertail can be found in the grove to the southwest of El-Domo. If you choose to help the Redeemed, when you return to Drake you receive xp, cash and a Ring of Enhanced Psychic (+10 nanoresist) for completing the quest. Drake wants you to deliver Supplies to a Scientist Sarah Willis. 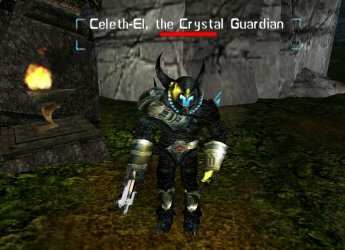 She is in a cave located east of where Celeth-El was located in the test of physic. Be warned, She has rather nasty company inside her cave. The Imp Disruptor can easily kill you before you reach her. Seek the help of Assistant Brad Willis who is outside of the cave and have him distract her nasty company. Once the imp is distracted run in, talk to her and give her the supplies. When you return to Drake you receive xp, cash and a Bonfire Kit that will allow you to recharge health and nano will out away from town for completing the quest. Drake wants you to kill a Heckler in the area outside of the backyard (but he won't tell you that exactly). Hecklers are pretty rough and you should level up to 10 or so before even trying this quest. You are searching for a specific heckler, Heckler of Evolution. When you kill him he will drop a Delicate Metal Device. Take it to Drake and he will give you a little bit of story line and a Smart Backpack (item is NoDrop) as reward for this quest. 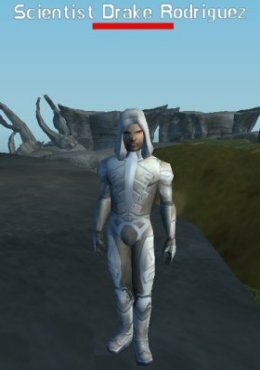 That ends the Jobe Research quests, and you should be strong enough to go out and take on the mobs in Nascence.